Tenerife property ownership - There must be very few people who visit Tenerife that haven’t toyed with the idea of making their stay a more permanent one. And it’s easy to see why when you’re standing on a terrace with a glass of wine in hand, watching the sun turn the sky into a glory of fiery red as it slips behind the horizon. Who wouldn’t be tempted to put some cash into buying property in Tenerife? For those looking at moving to Tenerife the reasons are simple- the island has an average year-round temperature of 23C, making its climate the envy of Europe; the cost of living is substantially lower than in the UK; and the clear blue skies, fresh ocean breeze and lack of pollution make it one of the healthiest environments to live… anywhere on the planet. For other people, though, the primary reasons for grabbing a piece of Tenerife property are more profit-inspired. Morfitt Properties Tenerife currently has hundreds of Tenerife investment properties available island-wide. When considering buying a property in Tenerife, bear in mind that apartments for sale in Playa de Las Americas, Costa Adeje and Los Cristianos in the south and Callao Salvaje, Playa San Juan and Los Gigantes to the west are in most demand as this is where most British expats live. Development has been rapid in these areas, which has pushed prices up over the years. However, Morfitt Properties Tenerife can source many Tenerife properties for sale such as one-bed apartments within walking distance of the ocean for a bargain figure of around £50,000. New properties, particularly in the exclusive Costa Adeje area, are hard to come by and one-bed apartments rarely sell for less than £150,000 while luxury detached villas in Costa Adeje are usually priced from £0.5 million upwards. However, our expertise, local knowledge and insight can sometimes make the impossible become possible… just ask and ye shall receive. We will find that perfect property on our beautiful Island of Tenerife. Amongst the properties for sale in the north of Tenerife, Puerto de La Cruz property is once again returning to favour. Although new one- and two-bed apartments are rare, Morfitt Properties Tenerife can always point you to spectacular re-sale bargains in this charming old town. The number of people looking for rural property for sale in Tenerife has been increasing steadily throughout the past couple of years, partly because of the rise in popularity of restoration-type TV programmes, partly because more people are choosing to downsize their lifestyle and move to the countryside, and partly because the beauty and accessibility of Tenerife’s inland is no longer a secret. Because of the topography of the island, many inland properties in Tenerife have the bonus of outstanding sea views. Popular areas include Granadilla, San Miguel, and Adeje and Guia de Isora in the south. In the north, La Matanza, Santa Ursula and La Orotava provide the type of Tenerife property to give you all you need for a tranquil life in the sun. So whether you’re looking to bag a bargain property, buy a sunny rural property in the hills or make your money work for you with a perfect Tenerife property investment, Morfitt Properties Tenerife, The British estate agent is always here to seek out the best properties for sale in Tenerife. We offer a comprehensive service to our clients when you are looking to buy a Tenerife Property. As an estate agent we will endeavour to help you every step of the way. There are many estate agents to choose from and they will show you many Properties. We like to think that we go that extra mile. At Morfitt Properties Tenerife we dont just find you a Property we offer much more ! We will pick you up from your hotel or apartment and take you to see a great selection of Tenerife Properties. When you are sure that you have found your perfect Property, we will help you every step of the way. We will help you open a bank account. We will introduce you to a solicitor that we recommend for your Property transaction. We do recommend that you use a Solicitor, you would not buy a property from an Estate Agent in the U.K. without a Solicitor so why would you when buying a Tenerife Property. We will take you to get your National Identification number which is called an N.I.E. number. There is no charge for this. We will take you to various furniture shops to help you get suitable furniture at a good price for your new property. We will help you obtain a Euro mortgage in Tenerife if you would like us to find a competitive one here to purchase your dream home. On completion, we make sure the property is registered at the land registry. We make sure that your local taxes are paid. We will make sure you understand the sales contract that you will be asked to sign to secure yourTenerife Property. As a reliable Estate agent in Tenerife, we do all this and you don,t pay us a penny, yes it,s free to you as it is the vendor who pays the commission when buying a Tenerife. For our Vendors!! If you want to sell your property quickly, efficiently and at the best price, we’re right here with our finger on the pulse of the property market, always working hard to get you the best deal. We sell Tenerife Properties by marketing your Property on several websites. We will advertise your property in the best local property newspaper, TheTenerife Property Guide. This circulates the local market as well as the Tenerife holiday makers. There are many Tenerife Properties for the clients to chose from. We will offer you good advice on presenting your Tenerife Property as well as pricing your property, giving your best investment the best possible chance to sell. 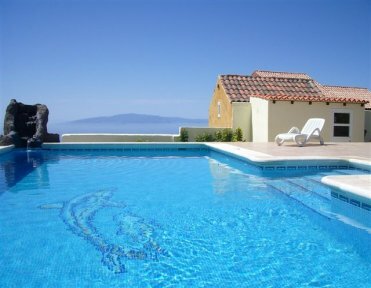 Look at our "Latest Property" Section or our Tenerife properties for rental on our website below.